At the 2018 ROPA Conference, held July 31-August 2, delegates gained knowledge from peers and experts in our industry, covering the topics of negotiating, union organizing, interpersonal relationships, musician self-care, financial health, and the overall state of our profession. On June 17-18, the LCC/PCC Conference was held at the Westgate Resort & Casino in Las Vegas. Saturday began with a meeting of AFM leadership and staff with delegates from both the LCC and PCC. Being accessible and vital partners in our communities is key to the success of our International Conference of Symphony and Opera Musicians (ICSOM) orchestras. The Regional Orchestra Players’ Association will hold its 34th annual conference in Portland, Oregon, July 31-August 2. The conference will be held at University Place Hotel & Conference Center, on the campus of Portland State University. Our conference will feature presentations on a variety of subjects of interest to our members, including hearing wellness, sexual harassment, performance anxiety, and diversity and inclusiveness in our orchestras, opera, and ballet companies. The cohesive internal organization of an orchestra is the foundation of a strong bargaining unit. 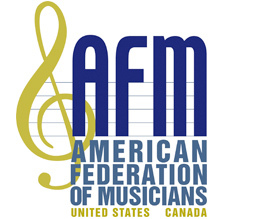 I recently had the privilege to represent the AFM at several International Federation of Musicians (FIM) workshops in Latin America. In 1980, I proudly joined AFM Local 369 (Las Vegas, NV). At that time, every hotel and casino that had a showroom contracted union musicians. The Artist Rights Caucus of Local 802 (New York City) congratulates AFM President Ray Hair and the AFM’s negotiating team on the impressive gains won in the Sound Recording Labor Agreement (SRLA). This December caps off another busy year for the AFM. In addition to a number of key negotiations and lobbying for legislation beneficial to our members, 2016 marked the historic 100th AFM Convention, held in June.